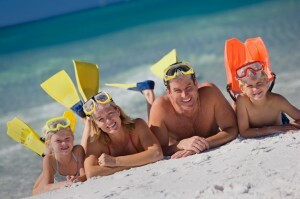 Summer Beach Affordable Vacation at Cannons by The Sea Cottages. These days “affordable vacation” has become an oxymoron. But at Cannons By The Sea Cottages on the beautiful island of Longboat Key, Florida, an affordable vacation is a reality well within your grasp. From August 1 through December 31 (before beginning the annual craziness of spring’s seasonal migration), Cannons is offering 25 percent off their rates to stay in one of only four one- or two-bedroom cottages, each not more than a delightful 100-yard barefoot stroll to a wide, private beach directly on the beautiful Gulf of Mexico. Fully appointed but with an “Old Florida” ambiance, Cannons By The Sea Cottages are a welcome relief from the usual, i.e. hotels, condos and resorts. Here you’ll find privacy, cooling breezes, clear, star-filled nights and the true relaxation you’re craving. 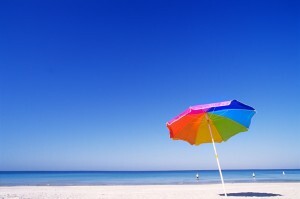 Thinking of a Summer Beach Vacation Spot? Think Longboat Key Florida. Looking for the perfect Florida Vacation Rental on a beautiful resort island community? We have beach vacation rentals for you right here on Longboat Key. Sarasota Florida, Beach House, Cannons by The Sea. Looking for a Florida Beach Vacation Rental? Need some reasons to stay ? 1) We are located on the beautiful tropical island on Longboat Key. 2) Our white sandy beaches are some of the most beautiful beaches in the world, great for long beach walks.